Gold was one of the first precious metals mined because it commonly appears in the ground in its natural form. Ancient civilizations such as the ancient Egyptians used gold to decorate their tombs and temples, and gold artifacts dating back more than 5,000 years have been found in what is now modern Egypt. It is thought the gold used to make these ancient objects was obtained from the upper Nile, Red Sea and Nubian Desert regions. The Californian Gold Rush of the mid 1800s produced over 137 million ounces of gold, valued at over $50 billion by today's standards. It all started with the discovery of gold in 1848 at present-day Sacramento by saw mill owner James Suter. Word quickly spread--in the four years that followed, California's population grew from a mere 14,000 to 223,000. 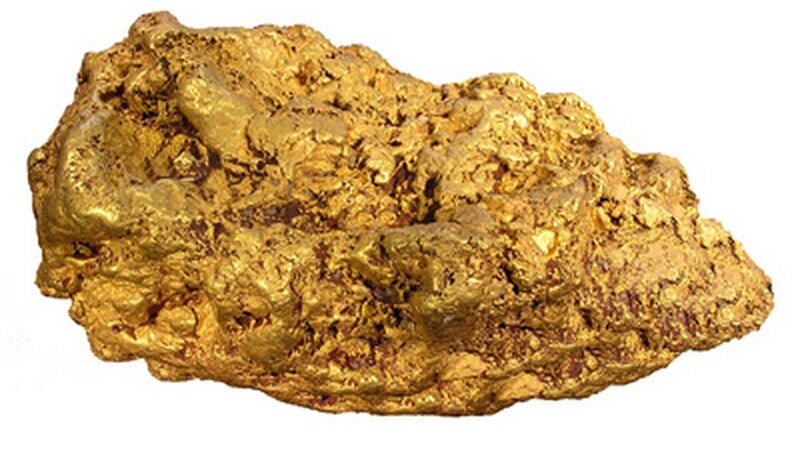 In 1854 the largest ever gold nugget was discovered at Carson Hill above the Stanislaus River in California. Weighing a massive 195 pounds, it was valued at $43,534 at the time of its discovery. The most popular methods of obtaining gold during the gold rush were by panning and sluicing. Both practices tapped in to placer deposits, which are usually found in streambeds or deposits of sand and gravel. Panning uses a sieve-like instrument to separate small gold deposits from other minerals, often in riverbeds. Sluicing channels gravel laden water from a stream over a series of sieves and riffles to separate any gold from unwanted minerals or materials. In 1869 the term "Mother Lode" was coined to escribe the gold reserves of five Californian counties; Mariposa, Tuolumne, Calaveras, Amador and El Dorado. However, more gold was subsequently sourced from Placer, Nevada, Sierra and Plumas counties. The modern hard rock method of mining gold produces most of the world's gold today. It uses heavy machinery to dig down to veins of gold encased in rock beneath the Earth's surface. 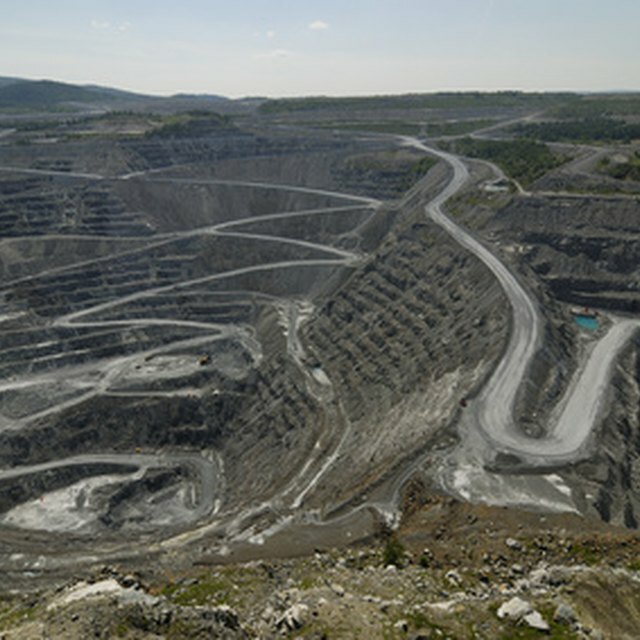 The deepest gold mine in North America is located in Quebec, Canada. The deepest shaft of the mine reaches over 2.48 miles (4 kilometers) underground and is predicted to be able to access over 12.5 million ounces of gold. The United States is estimated to have a total of $298.36 billion worth of gold reserves, the most in the world. The United States Bullion Depository, otherwise known as Fort Knox in Kentucky, contains the majority of America's gold reserves. The remainder of the gold is spread between the Philadelphia Mint, the Denver Mint, the West Point Bullion Depository and the San Francisco Assay Office. In total, United States holds over 8,946.9 tons of gold. The chemical symbol for gold is Au, from the Latin word "aurum" meaning "shining dawn." Gold is a highly malleable metal capable of being hammered into extremely thin sheets, some of which are so thin that light can pass through. Gold is also an excellent conductor of heat and electricity and is used in to make some types of home electrical cable. Stefansson, Jon. "Gold Mining Facts." Sciencing, https://sciencing.com/gold-mining-6400170.html. 25 April 2017.